It’s incredibly important to me that our physicians and healthcare professionals are able to treat the many different aspects of an individual’s overall wellbeing. Bayless Integrated Healthcare CEO Justin Bayless has been recognized as a Health Care Hero, a ranking of 25 healthcare change makers in the Valley, by the Phoenix Business Journal. The Health Care Heroes program honors medical professionals in Phoenix who have improved health care and saved lives, especially in the past few years. They look for masters in the medical field who have made a significant contribution in diverse categories during the past year, including patient practice, research and innovation. 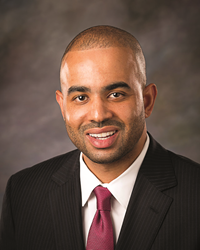 Justin Bayless has been honored as a non-physician, and his desire for challenging the status quo is evident throughout his career with the healthcare group. Under Justin’s leadership, Bayless Integrated Healthcare has pioneered the way to incorporating the most important healthcare services under one roof: primary care and behavioral health. Justin Bayless continues to develop new value-based contractual relationships with diversified payer types including Medicaid, Medicare Advantage, long-term care, employee assistance programs, workers’ compensation and commercial health plans while continuously expanding the Bayless service array and brand. His leadership has also seen the group grow rapidly in size – Bayless is set to open their fifth valley location in Mesa on August 23. The firm invested more than $250,000 into the new clinic and will add 24 new jobs in Mesa. For more information about Bayless Integrated Healthcare, please visit http://www.baylesshealthcare.com.